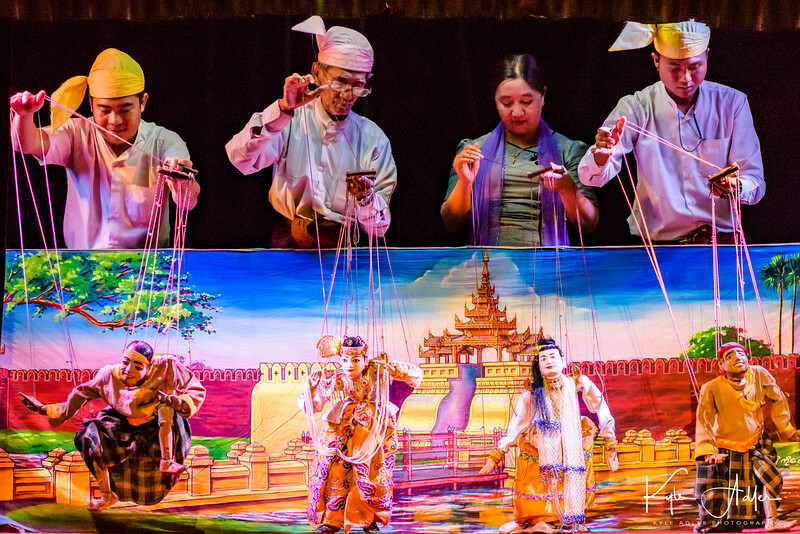 The master puppeteer takes a turn during the final number of the Mandalay marionette show. He's the second from the left in the photo. We had the chance to meet him after the show.